Mumbai Indians (MI) and Chennai Super Kings (CSK) go head to head in the match number 15 of Indian Premier League 2019 (IPL 2019) at the Wankhede Stadium in Mumbai. Meanwhile, hosts Mumbai Indians have been asked to bat first. CSK have made one change with Mohit Sharma replacing Mitchell Santner. Two changes for MI with Rahul Chahar, Jason Behrendorff included. Check out MI vs CSK live score updates here. Defending champions Super kings land in Mumbai after completing a hat-trick of wins. The MS Dhoni-led side is unbeaten thus far and have won three out of three matches. This will be CSK’ second away game of the season. In their last outing, the Men in Yellow defeated Rajasthan Royals (RR) in a. Closely fought encounter. 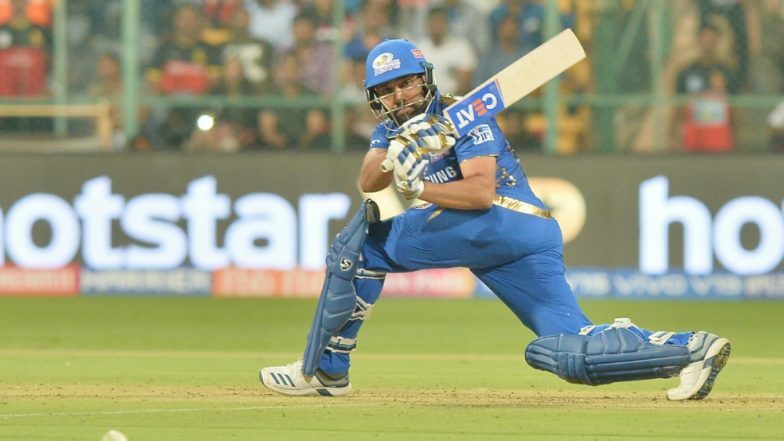 MI vs CSK, IPL 2019 Live Cricket Streaming: Watch Free Telecast of Mumbai Indians vs Chennai Super Kings on Star Sports and Hotstar Online. Mumbai Indians, on the other hand, have played three matches as well and have won just one. MI’s victory came against Royal Challengers Bangalore (RCB) in an away match. This is Mumbai’s second home game of the season. In their previous fixture at home, Mumbai Indians were outplayed by Delhi Capitals (DC). Meanwhile, this will be the 25th meeting between the two sides in IPL. Mumbai Indians slightly leads the head to head record with 13 wins while Super Kings have won 11 matches. In the last ten meetings between these two sides, both have won five each. MI vs CSK IPL 2019: Mumbai Indians vs Chennai Super Kings’ Rivalry in Numbers!. Mumbai Indians Playing XI: Rohit Sharma(c), Quinton de Kock(w), Suryakumar Yadav, Yuvraj Singh, Kieron Pollard, Hardik Pandya, Krunal Pandya, Rahul Chahar, Jasprit Bumrah, Lasith Malinga, Jason Behrendorff. Chennai Super Kings Playing XI: Ambati Rayudu, Shane Watson, Suresh Raina, MS Dhoni(w/c), Kedar Jadhav, Dwayne Bravo, Ravindra Jadeja, Deepak Chahar, Mohit Sharma, Shardul Thakur, Imran Tahir.